"Tastes like Christmas!" That's what my husband said when he took a bite of these yummy bars. 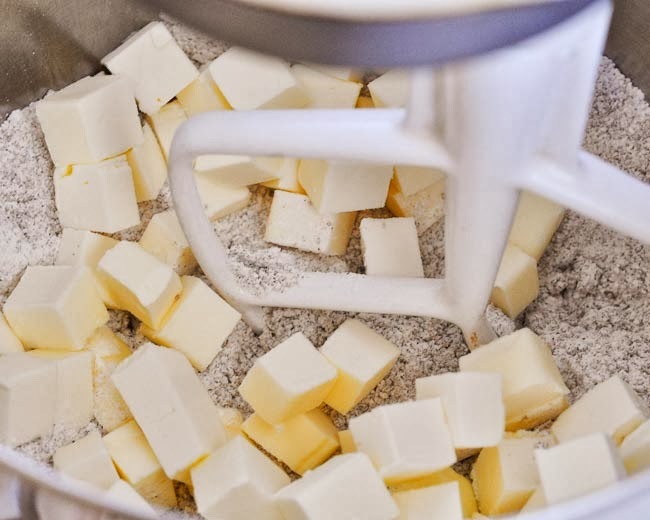 In a medium-sized mixing bowl, or in the bowl of a stand mixer, combine the sugar (and molasses, if using), flour, salt and spices. Add the butter, cut into cubes, and mix on low- or with a pastry blender- until the mixture is crumbly and the butter is in pea-sized, or smaller, pieces. Press one-half of the mixture - about two cups- into the bottom of a 9x13 pan, lined with parchment paper. The crust should be smooth, and tightly packed. 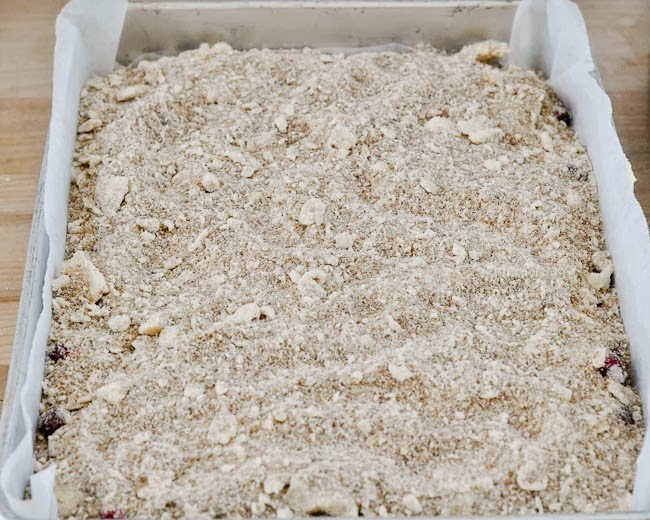 Bake in the oven for 7-10 minutes while you prepare the filling. 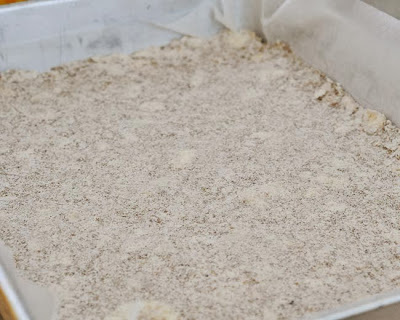 *Note: If you used the mixing bowl on a stand mixer, remove the remaining crust mixture to a small bowl. You will use the remaining half for the top crust. This way, you can re-use the mixing bowl, with no extra rinsing. Yes! 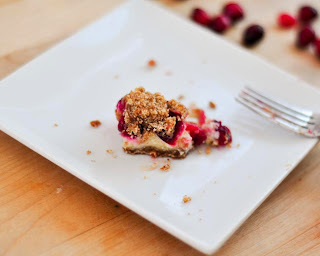 Fewer dishes! 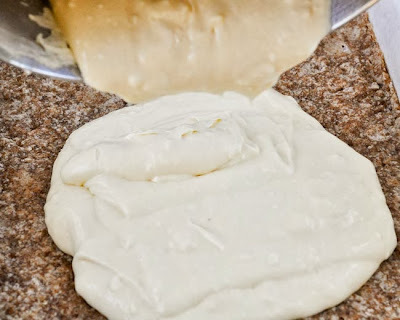 Combine cream cheese (at room temperature) and 1 cup of the sugar in a mixing bowl. Mix on medium until light and fluffy. 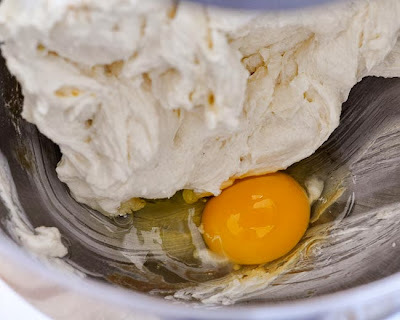 Add each egg separately and the vanilla, mixing until combined each time. Pour the cheesecake mixture over the hot crust and spread evenly. 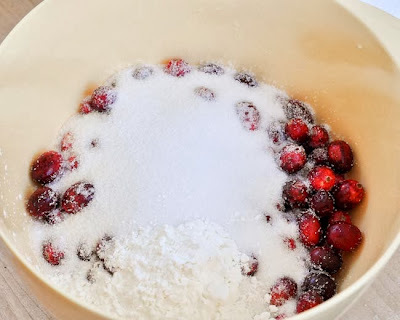 In another medium-sized bowl, combine the remaining 1 cup of sugar, the corn starch and rinsed cranberries. 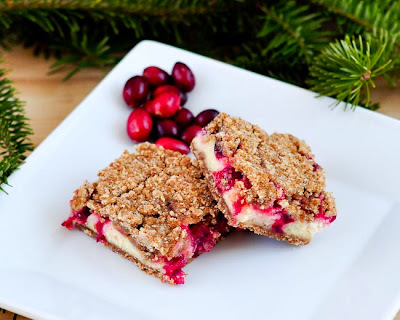 Toss the cranberries to coat. *Note: There will be a lot of the sugar/corn starch mixture remaining. That's okay. You will spread it over the cranberries. But you still need to use it or it will be too tart, and too juicy. 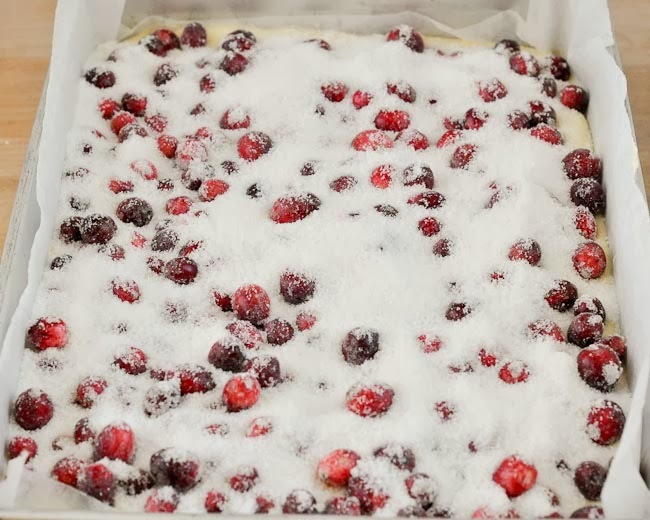 Spread the cranberries and remaining sugar mixture over the cheesecake layer. Bake for 50-60 minutes in the 350-degree (F) oven. *Note: You know they're ready when the crust begins to turn golden, the cranberries are bubbly, and the center of the pan of bars isn't too jiggly when shaken. 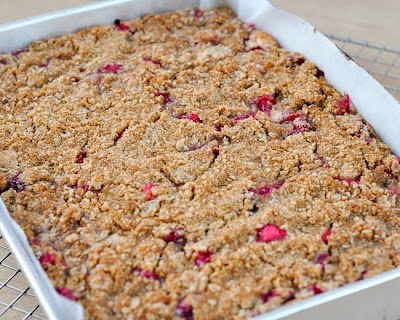 Cool for about 30 minutes on a cooling rack, then further cool in the refrigerator for about 2 hours or more. 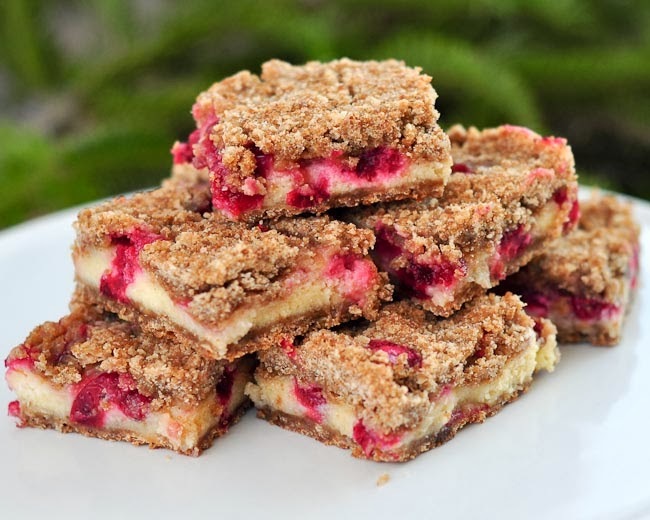 Cut into bars, and sink your teeth into the yumminess! *Note: Store in the refrigerator.